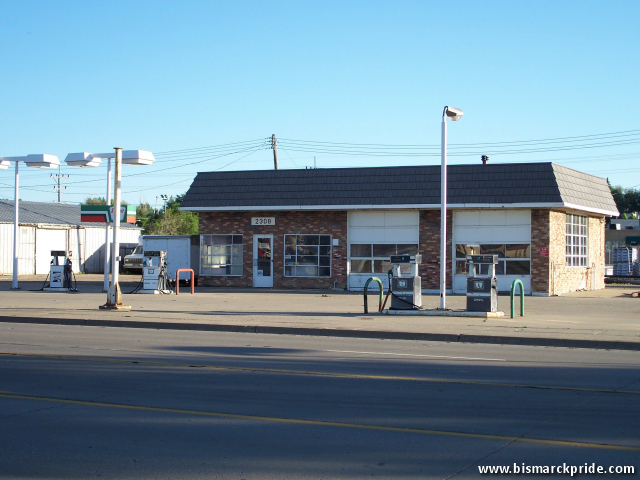 Located at 2308 E Main Avenue, this former Sinclair station closed in 2002 after 44 years in business. As of 2014, the building, pumps, and signage remains. Wallace Perman opened the station in 1958. At the time, Main Avenue was the main through-way as a part of US Highway 10, with numerous hotels neighboring the gas station. During this era, the station was operated 24 hours a day with as many as 4-5 employees on duty at any given time. Although originally operated a joint partnership with another individual, the station remained under ownership of the Perman family for its entire existence.